Product #931 | SKU Z-ZENGL | 0.0 (no ratings yet) Thanks for your rating! 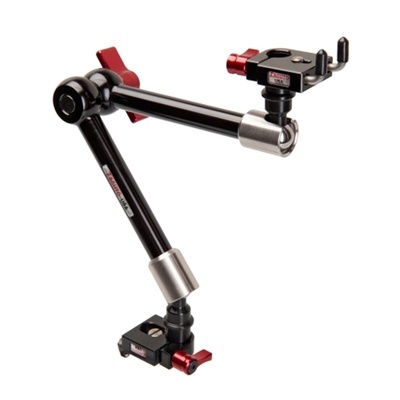 The Zonitor ENG Large mount kit allows you to quick-release a monitor from a Zamerican articulating arm and the arm from the top of your camera. This kit allows you to mount any device with a ¼ 20” (or 3/8 16”with ¼ 20” to 3/8 16” adapter) screw hole, such as an external on-board monitor, lights, and/or hard drives, using a Zamerican Arm. The arm is mounted on a Zicromount III that is attached to your camera's handle. The Zicromount III prevents unwinding with the use of the L prongs.